My new favorite Pimm’s Cup variation…use San Pellegrino Aranciata as the mixer. Pimm’s No. 1 plays well with the orange flavor; add a hunk of lime instead of a cucumber. I like the aranciata slightly better as a mixer than my usual Lorina sparkling lemonade. 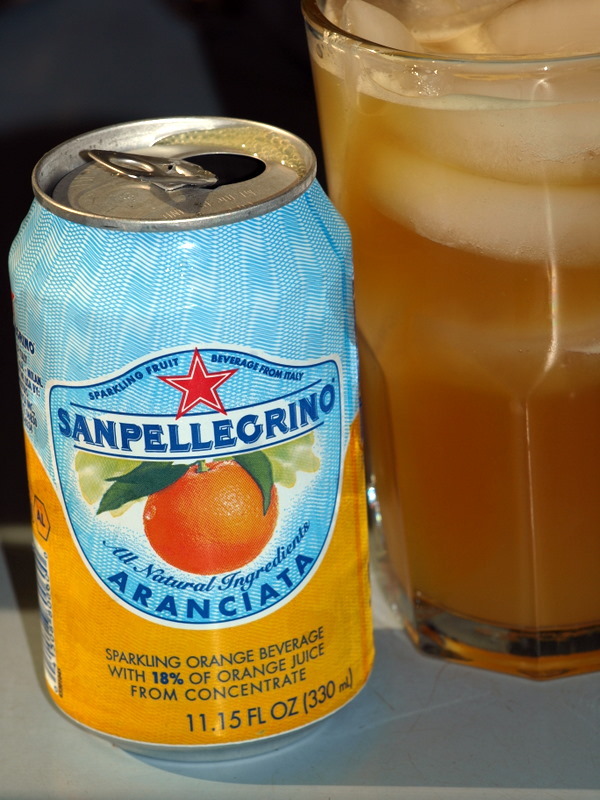 I heart San Pellegrino Aranciata! It is an excellent mixer, as you noted. I think I tried it with some El Jimador tequila, and it was excellent. So refreshing! I’ll have to check out your Pimm’s concoction! I wish I could find the SP Chinotto around here…. They had SP chinotto for a little while at St. James. It didn’t sell very well. I didn’t care for it much myself. You can order it on Amazon but I guess that takes some of the fun out of it. Making homemade Pimm’s is sort of a hobby of mine – the company recently (a couple years ago) lowered the ABV from 40% to 25%, but of course didn’t decrease the price. But it turns out the recipe isn’t really all that secret: it’s more or less 1 part dry gin (at least 40% ABV), 1 part red vermouth, and 1/2 part orange curacao. Pimm’s adds some herbs and spices I guess, but I can’t really tell the difference. Fascinating…I didn’t know the alcohol content had been lowered….I never noticed.